I help individuals in transition to uncover their best-suited paths. I also work with emerging entrepreneurs helping them to create a clear vision for their life and business. Troy has spent 15 years in the educational system and financial industry. This experience has enabled him to learn invaluable insights into human behaviour, relationships, marketing, and other business skills that has led him to be a successful entrepreneur today. Troy is also a co-author of the bestselling book Cracking The Success Code with Brian Tracy. His works have published nationally and internationally. He has also been featured on radio and television including Global, NBC, and FOX. With a B. Mgt. and B. Ed., Troy is highly skilled in the areas of communication, entrepreneurship, leadership, sales and strategic planning. He has worked with several fortune 500 companies and top industry leaders that have resulted in immediate change and long-term results. Troy specializes in human relations of all kind including customer service, employee engagement, and leadership. His unique teaching style and uncanny humour set him apart from others in the professional coaching industry. First, you will not find a more dedicated and driven person who is committed to helping others succeed. Having failed numerous times both personally and professionally, Troy understands and empathizes with others struggling to succeed and achieve their dreams. He offers his insights and knowledge that is encouraging and supportive. Second, Troy constantly and consistently goes above and beyond the norm to ensure his clients get exceptional service and value for their money. Third, Troy only uses proven methods and systems that are specifically customized to the unique needs of his clients.That means no fluff, no bull, no nonsense, just real results. Finally, Troy will work with you until success is achieved. So stop wasting your valuable time, money, and resources trying to figure it all out on your own. It's exhausting and rarely works. If you're serious and committed to taking your business to the next level, contact Troy today. Have you worked with Troy? Tell your friends! Working with a business coach like Troy has been one of the best business decisions that I’ve made. Troy was professional, motivational, and extremely helpful. He always made sure that the information he shared was relevant and interesting. He went above and beyond in helping me find solutions. I was very impressed with his genuine interest and care for what I was trying to achieve. Together we came up with a plan that will double my income and create more opportunities for growth. Troy changed my mind set. I now look at my business differently and feel excited about the future. I highly recommend Troy to anyone that wants to grow their business! When I met with Troy for the first time, I was skeptical about how beneficial a business coach would be for me. But when Troy told me about all of the things we would cover in our coaching sessions, I knew that I had to hire someone to help me gain a better understanding of how to build my business with a solid foundation, and the steps I would need to take to grow from there. Troy’s easy manner and the way he asked me questions that got my brain working were some of the key factors in my decision to make him the coach I would hire. The fact that he tailors the program to your needs and his attention to detail was also a major plus. But what finally made up my mind to hire Troy were the testimonials he has. He gets results for his clients. I am very happy that I hired Troy to help me with my business endeavours. One of the things that I enjoyed most about working with Troy is that he truly views it as a partnership. His client’s success equals his success, and his client’s problems are his problems. He was always able to help me with any areas of the program I was having difficulty in, and he happily stayed extra time with me to go over things in great detail. I think only one of our six sessions was actually an hour long. I would highly recommend Troy to anyone who is running their own business. Whether you have very little experience in the business world, or a lot, Troy has the knowledge and strategies to help you improve and reach your goals. For anyone that needs a little confidence boost and some help getting to where they need to go in life, I highly recommend contacting Troy. I am a retired Veteran of the Canadian Military and since I left the comfort of the “Green Machine” I’ve been bouncing around from job to job, I finally decided that maybe I’m better at being my own boss, but I questioned Do I have it in me, can I do this, is it feasible, what if I fail? Sure I can answer most of those questions but they were all negative answers. I made the decision to get some help, I needed a life coach, someone who has the background and the know how to help me. I found Troy through an internet search and sent him an email. He contacted me within a very short period of time via a call asked me some questions about myself and what it was I was needing help with. After the first contact I knew I had the right guy. Troy outlined a plan for me, we met each Monday and went over the material he had prepared for my assignments and gave some tremendous advice and words of encouragement. I will tell you this isn’t a walk in the park, you have to put the effort in, and Troy puts in his fair share as well, and if you do, you will see the light and great things will start to happen. Troy is a genuine gentleman, with a big heart and tons of experience, he wants to see you succeed and his plan and approach will get you there. I highly recommend Troy to anyone seeking a life/ financial/ business coach. It has been a great experience to have Troy on my side, he is one guy that truly listens to every detail when your talking and goes over and above what he says he can do for you. It is nice to learn and grow from a person like Troy as he has a great outlook on life and business. I think it important that everyone should have a life or career coach to shed a different perspective and clear goal whatever that may be. Thanks Troy for all your hard work!!! As a new business owner, I felt very lost and confused about how to not only run, but build upon a therapeutic practice. At first, I was concerned about hiring Troy - I thought I might need someone with experience in my field to make it work. BUT, I was blown away by how Troy always modified the tasks to make it suit me and my business. He helped me figure out my foundation (mission and values) and helped me understand how essential this is to my overall future vision. Most importantly, he helped me feel more confident that I can be a business owner and not an employee anymore. If you are looking for someone to guide you through the foundation pieces of your business (tailored to your needs), Troy is a great choice! - Kim Long, Registered Therapist, Dochas Psychological Services Inc. Troy provided 4 of our managers, myself included, with a full 6 month (12 course) leadership development program. The material was excellent and Troy presented it in a fun and engaging way. Troy also provided out of classroom one on one coaching for each of us that allowed us to apply the principles we learned directly to our company. We highly recommend Troy and his services! Troy has been very instrumental in helping me to plan out my sales strategy, lead generation, and marketing plan for my small business. He compassionately meets you where you are and boosts you to the next level with his knowledge, questions, and sense of humour. It was great to work with Troy and I would highly recommend his services. I want to sincerely thank you Troy for going above and beyond in providing exceptional business coaching services for my business. You exceeded my expectations by providing extra services, resources and business connections that complimented your business coaching services. Troy and I worked together for several months where he provided invaluable expertise and guidance in helping me grow my small business. Troy offered his vast wealth of knowledge on many different aspects of helping a small business grow. Troy put together materials for each of our coaching sessions on a wide variety of topics such as networking, marketing, goal setting, planning and growth of a small business. Troy was completely focused on helping me grow my business. He was instrumental in helping me improve my networking and public speaking skills. Troy even attended networking events with me where he provided support and expertise in networking. He also provided extra materials such as articles and books on various topics at each coaching session as extra value added. Troy helped me set my yearly business goals and has helped me achieve a good portion of them by always checking in, providing advice and support and keeping me accountable. Troy genuinely cares about his clients on both a professional and personal level. He would always check in between sessions with a phone call or email just to see how I was doing each week. I would absolutely refer Troy Price to any business or person who is looking to grow their business and themselves. I will be referring him as a business coach to all small business owners and my family, friends, and clients. I feel fortunate having had the blessing and pleasure to work with Troy for a couple of months in a pivotal phase for my coaching business. His clear and structured approach to helping me promote my business was exactly what I needed, and it concluded at a perfect time. After many previous attempts at nailing down my avatar and niche pitch, Troy’s tools, insight and expertise brought me finally to a point of absolute clarity about the group of people I am excited to work with. I now have a much better plan for my next steps in how to proceed, and through his guidance I was able to connect with my target audience much more directly. The most significant result of Troy's coaching however has been how I channel my creativity and structure it to benefit my networking efforts. I am amazed in retrospect how insightful and intuitive Troy was in guiding me through my fear of specifying my process. With his method, and with what he taught me about the discipline of mastering my niche, I was able to make a few major decisions in favor of a much more streamlined and efficient marketing outreach. I was asked to do a presentation for two major influencers in my target market, and I noticed a new level of ease and confidence in the way that I showed up that surprised me. The response was phenomenal and is opening yet another area for collaboration. This would not have been possible without Troy’s expert support and encouragement. I highly recommend working with Troy. You need and want an expert to help you grow your business and hold you accountable on all the steps you agreed to do. He truly cares about his clients’ success, and he is pairing long-term expertise with innovation and cutting edge technology. I will return when it is time to elevate my coaching business to the next level. Troy is an excellent business coach. His sense of humor coupled with his coaching skills was irreplaceable to me. I needed his expertise in several different areas and ways and he continued showing up bringing his best. He kept me accountable as well as taught me some valuable tools to use in my business. Really great to have him in my corner! Thank you from the bottom of my heart Troy. I highly recommend Troy Price." I hired Troy for a purpose. As a business owner I find it very difficult to work on my business, because I get so caught up in the day to activities. I needed someone to be accountable to. I needed someone to help me set goals. So, I thought I would give Troy a try. He met with me for a consultation, and I was happy with what I heard and also the price he quoted me. Much cheaper than other coaches I have used. To be truthful, my first coaching session was not what I had hoped for. We went through a bunch of theory and that was not what I wanted. Troy gave me an opportunity to share how I felt it went. So, I told him I didnt want to do this stuff. Well, Troy dug down and found out what I really wanted and put aside his agenda and worked with mine. We came up with goals and projects. We set dates of completion and over the next couple months he pushed me hard to get those things done. It was a very productive time for me and I couldnt have done it without him. I can honestly say that he has done great things and when life settles down a bit I want to use him again. I have always considered myself a very savvy business person. Being an accountant who specializes in teaching small business owners about their business and how to understand it from a financial perspective, I never thought I would need or want to hire a business coach for myself. However, very soon after meeting Troy Price, I was instantly filled with a strong sense that he could help me. I didn't even know at the time what I specifically would want his help on; only that I needed to give him a try. And with him offering a free complimentary first session, I figured I had nothing to lose. Apparently, I also had lots to gain. In each of our sessions, Troy has been more than a business coach. He has been someone who truly listens and cares. He has become a great and trusted friend. It amazes me that he always tailors his coaching sessions to focus on what is important to me and addresses the issues that are top of mind for me. He is eager to help me with my needs and always seems to have a solution for everything. It amazes me. I have already learned so much about my business, but even if I hadn't or never did, I would have considered my investment in Troy and The Achievement Centre well worth it simply for the person it has helped me to become and the friend I have gained in Troy. I would recommend Troy to anyone and everyone. Troy has been very instrumental in helping me grow my business and help achieve a lot of my goals in a fairly short time. His coaching style is extremely supportive and he has been fantastic at helping me gain the clarity that I needed in taking the next steps. He is very resourceful and has the ability to pull out insights that have (helped) me grow a lot both personally and professionally. He is an excellent coach and I wish him great success. Troy facilitated a series of sessions for our members in the spring. His approach was refreshing, informative and provided a platform for questions, answers, and discussions regarding all themes he covered. His topics, which included “Exceptional Leaders”, “Thrive in Any Economy”, “The Sweet Science of Selling” and “How to Connect in 90 Seconds or Less” were relevant to our members. Participants confidently left the sessions with a plan to implement the new strategies. Well Done. Highly Recommend! I have had the pleasure of learning from Troy over the past year and appreciate his concise and articulate way of presenting ideas. Recently at a lunch training program, Troy really drove home a point about how small changes in our skill set can reap large dividends to our bottom lines. With this thought in mind I began tracking my own metrics to see how a small improvement can have a huge impact! Its true- it did! Troy breaths inspiration into business people and its hard not to have fun when he is around! 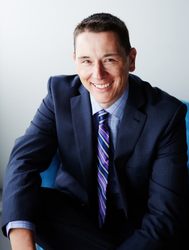 Troy has the ability to improve clients skill sets to increase bottom line performance. With a kind sense of humour and quick wit he holds an audience’s attention and leaves you wanting more. Troy has really customized his systems to meet the needs of entrepreneurs in the unique economy that is found in Alberta. I appreciate the hard work that Troy puts into his small businesses and I would recommend him to everyone in the area. The workshops that Troy has conducted for the Chamber of Commerce in Spruce Grove have been great. I brought a business associate with me and she said to let me know the next time Troy would be putting on a seminar as she is excited to learn even more from him. Troy, your skills really shine and I think you are making a very big difference for everyone you coach. The things we're getting out of this are skills we can take with us throughout the rest of our work life. Troy hasn't submitted any articles.